Does Media Multitasking Change the Structure of the Developing Brain? Simultaneous use of multiple media streams is associated with cognitive deficits. 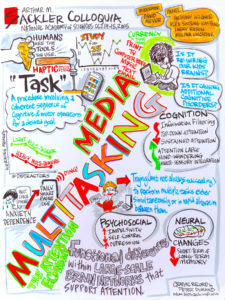 Habitual media multitaskers demonstrate reduced ability to filter out irrelevant information (from either their environment or recent memory), but increased capacity for multi-sensory integration. They are more susceptible to distracting information, and less likely to deploy top-down (goal-directed) attention in service of optimizing task goals. That is, they demonstrate a broader scope of attention. They self-report greater lapses of attention and mind-wandering, and sometimes show a reduced ability to sustain attention over time. These attributes are well suited to some tasks, but poorly suited for others. Whether or not this is a bad thing depends on the tasks at hand. There is also some evidence, from a small number of studies, that habitual multitaskers exhibit psychosocial differences such as higher impulsivity, lower self-control, and higher depression. 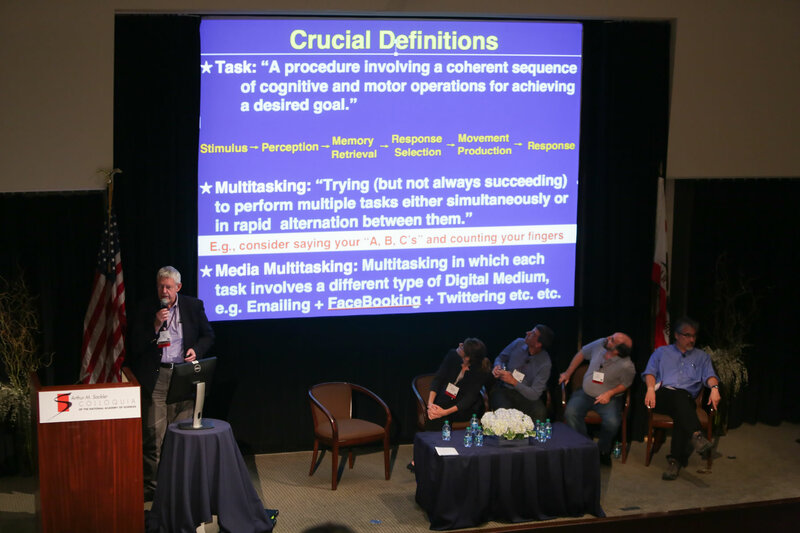 Heavy multitaskers also have been found to have less gray matter in a particular part of their brains (the frontal component of the default mode network). 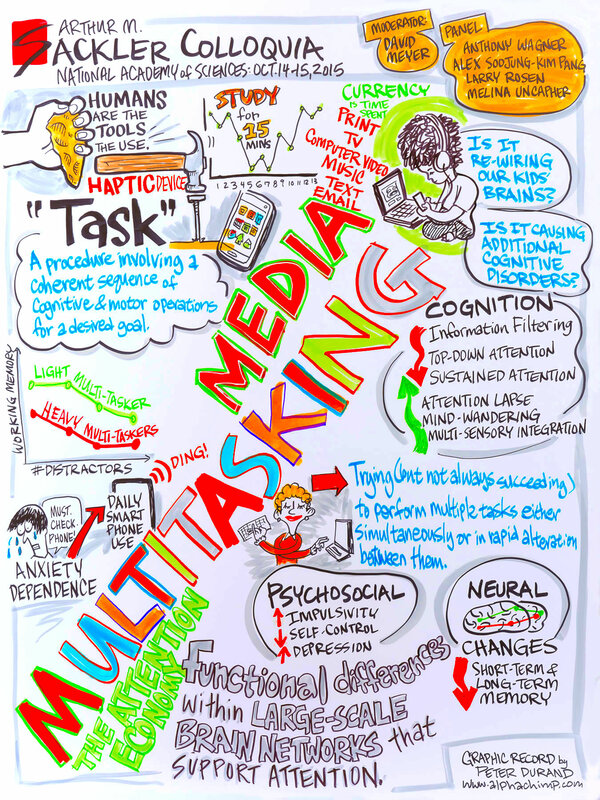 Graphic Illustration – Does Media Multitasking Change the Structure of the Developing Brain? One problem with these findings is that they come from a small number of small studies. Another issue is that, even where associations are found, causality remains to be determined. Much more research is needed to provide a sufficient basis for practice and policy. Some of that research is pending peer review and publication. More is being planned or already in progress. These capabilities – some of which resemble those of highly empathic people – could also be used to turn our media and devices from “weapons of mass distraction” into “smart weapons” that drive us to play more and pay more. This is not a new challenge. Man has co-evolved with technology. It is not inherently good or bad. Using it well gives us pleasure. Perhaps, if we can figure out why, then we can learn to be more mindful about how we do so.